On My Catio - Furball Fables Hey, all you catsters, hepcats and hip kitties, this is Big Daddy-O. 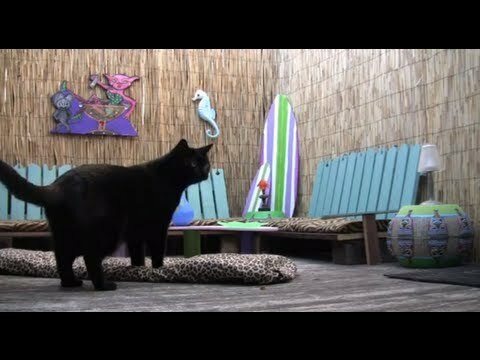 You're invited to make the scene at our Furball Cats CATIO party. Join us and have a blast at our vintage 50s TIKI bar! We'll have BBQ'd mouse burgers, kitty cocktails and a swinging time! I'm even singin' a song about it. Dig the last rays of summer with a cookin' party that is the cat's meow! Be there or be square! Cat ya later!